Every year Qualcomm makes a few prototype devices to show off its newest chipset to manufacturers and press. This year is no different, with Android Central getting the chance to pit the Google Pixel 3 equipped with last year’s Snapdragon 845 against Qualcomm’s Snapdragon 855 RD device. 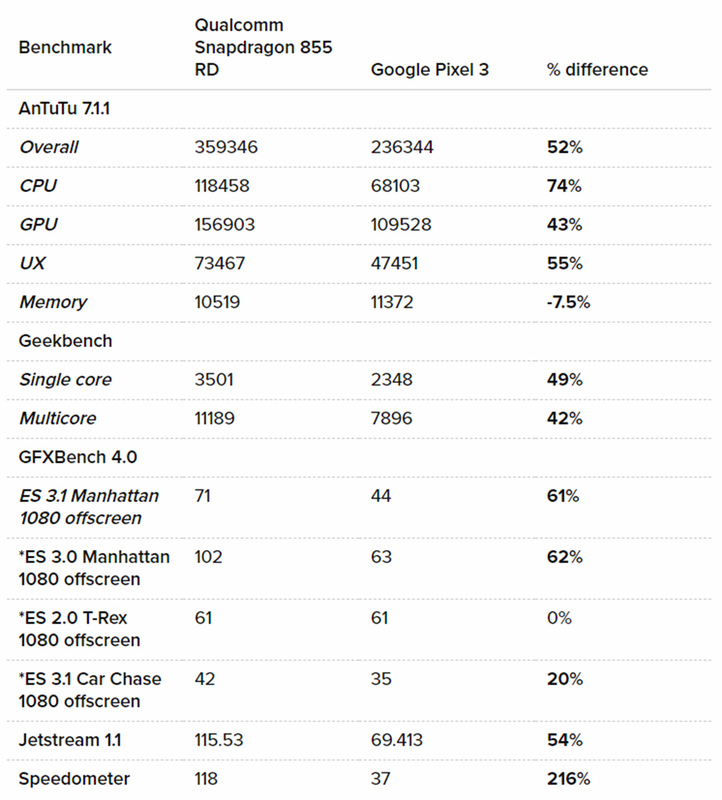 While it’s important to note that benchmarks don’t tell the whole story — what bearing does a 359346 AnTuTu score have on the real-world performance of a device anyway? — this year’s results are rather telling. However, before we get into the results, there are a few things to know about the test. First, Android Central ran every test three times and the results presented are an average of those tests. Further, all tests were completed within a 90-minute timeframe on January 6th, 2019. Also, Android Central didn’t perform any AI-related tests with the 855. The numbers are very clear. 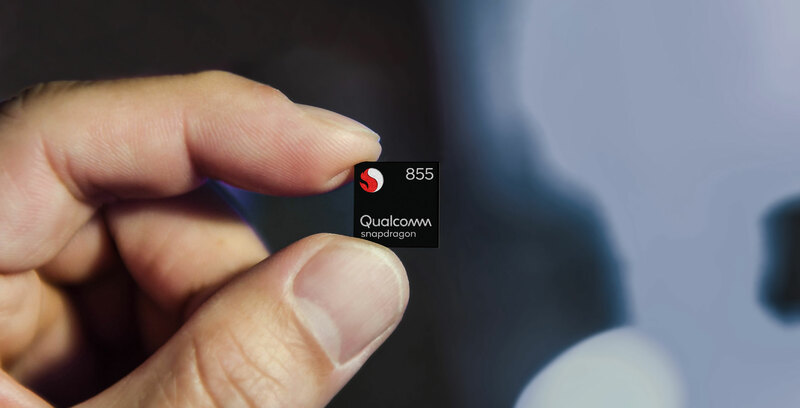 Qualcomm’s newest Snapdragon performs exceptionally well, between 20 and 75 percent better on average. Even CPU-bound tests like Geekbench and AnTuTu showed improvements of around 50 percent. A 50 percent year-over-year improvement is positively insane in the mobile space. That increase comes partly from Qualcomm’s new Prime Core Kryo 485 chip layout. The layout offers a single high-performance core, which can ramp up clock speed when needed. It also has double the L2 cache compared to the Kryo 385 in the Snapdragon 845. Further, Qualcomm based the new cores on ARM’s Cortex-A76 architecture, an improvement on the A75 architecture used for the Kryo 385. There’s also the faster LPDDR4 memory to consider, and several other minor improvements which contribute to the considerable performance increase over last year. The GPU doesn’t boast as impressive numbers, with the Adreno 640 claiming only a 20 percent increase in performance over last year’s 630. That said, a 20 percent increase is still substantial. On top of all this, Qualcomm says the 855 is considerably more power efficient thanks to its new 7nm manufacturing process. However, benchmarks don’t show this. Another thing the benchmarks don’t take into consideration is AI, which Qualcomm says it optimized the chip for. AI and machine learning tasks should perform three to four times faster on the 855 than on the 845, according to Qualcomm. However, most app developers have yet to work AI or machine learning tasks into their apps, so its a hard thing to test. The 855’s competition has ramped up as well. Huawei just announced Kirin 980 system-on-a-chip, and while the 855 should best it in benchmarks, the chip still seems to be a generation ahead in several measures. There’s also the matter of Apple’s A12 Bionic chip, which is quite powerful. 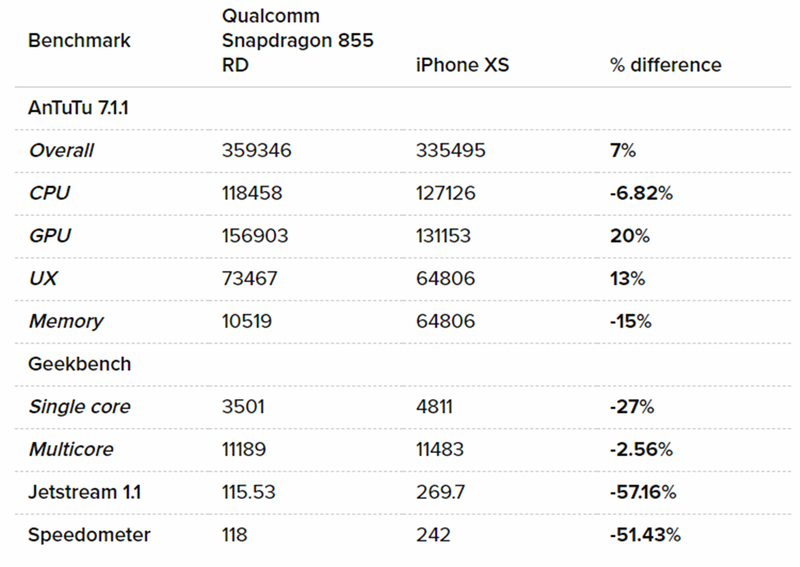 As you can see in the Android Central benchmarks, the 855 marks the closest Qualcomm has come to matching Apple’s chips. Unfortunately, there’s little more than can be said until we see commercial 855 chips running retail Android software, which will first happen with the Samsung Galaxy S10 expected to release in March. However, these early benchmarks show what could be an exciting year for Android smartphone performance.